Is it possible to be in love with a muffin? Well, then I'm guilty because these suckers interrupted my no sugar policy because they looked and smelled THAT good!! How incredibly cute are they? 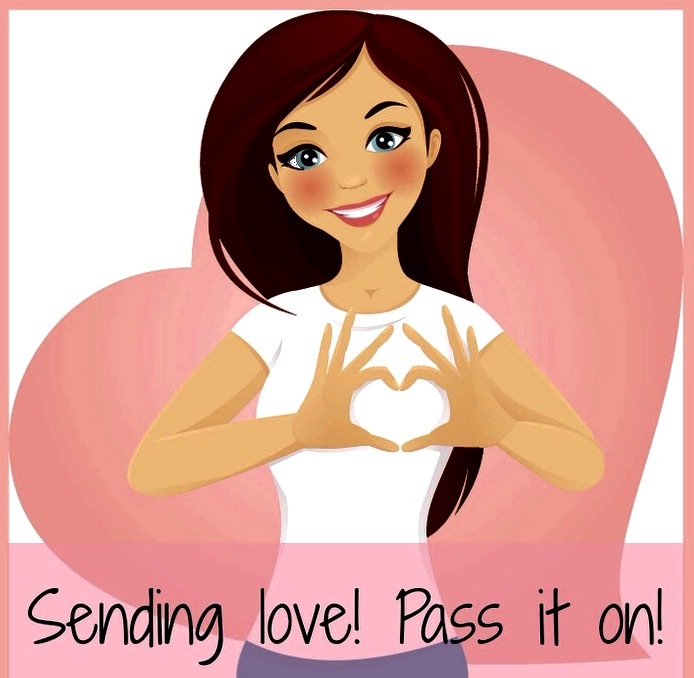 Perfect and just in time for Valentine's Day or celebrating everyday with LOVE! . Surprise the honey buns in your life with a basket of these. They would be great anytime of day. I had mine for lunch with a second cup of coffee. The streusel topping adds just the right touch to every bite! They just scream "LOVE!!!!" Look how moist and that cream cheese in the middle.....heaven!! Preheat oven to 350 degrees. 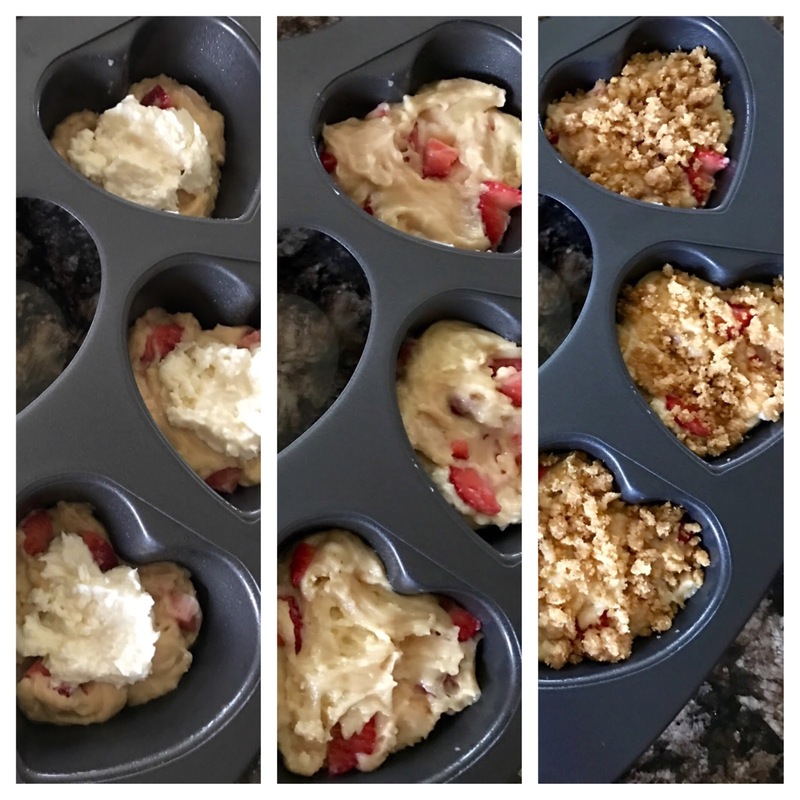 Spray your heart muffin tin with cooking spray or Line about 8 muffin cups with paper liners or spray with cooking spray as well. combine canola oil, egg, buttermilk, and vanilla together. Whisk until well combined. Incorporate the wet ingredients into flour mixture. Add slowly and gently stir, you don’t want to over mix. The batter will be thick. Carefully fold in the strawberries. 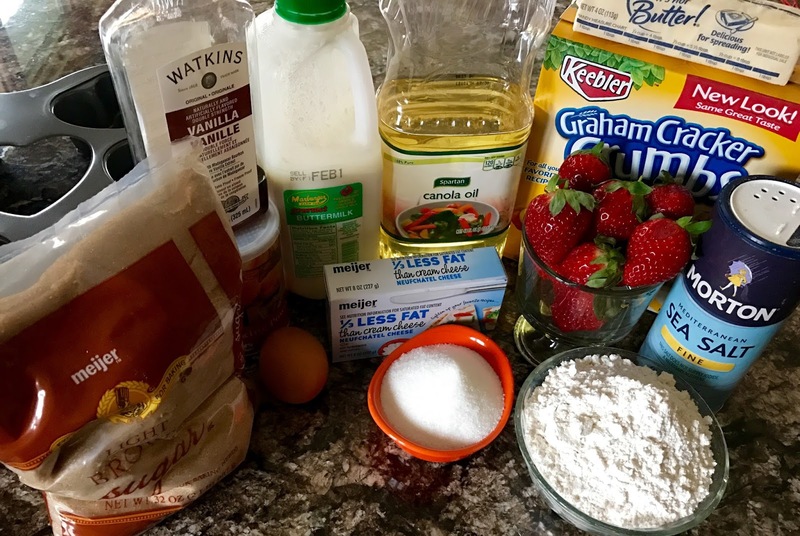 IN a small bowl, Make the cheesecake filling by stirring together the cream cheese and sugar Set aside. To make the streusel topping. In a small bowl, combine graham cracker crumbs, flour, brown sugar, and melted butter. Stir until moistened. Set aside. Fill each muffin cup with about 1 heaping tablespoon of batter. You want the bottom of the muffin cup to be covered. 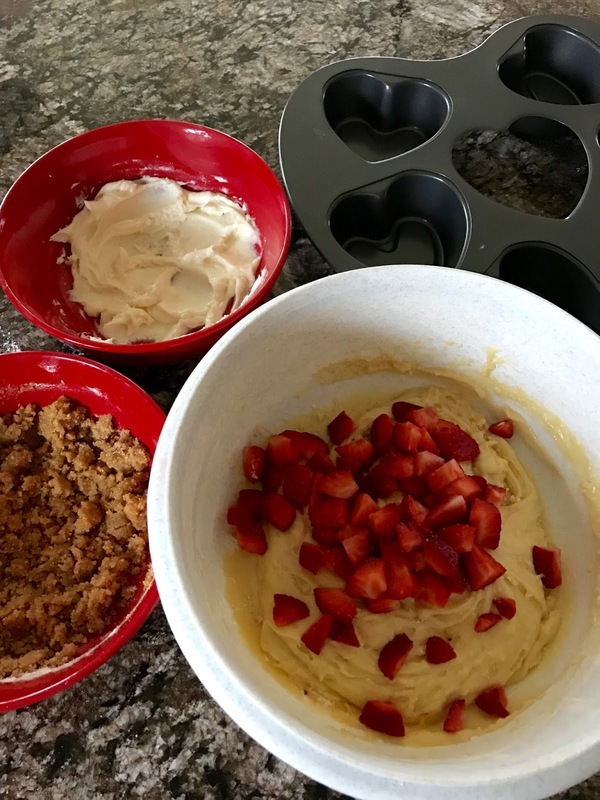 Next, add equal portions of the cheesecake filling to each muffin cup. Cover the filling with the remaining batter. Sprinkle each muffin with the streusel. Bake muffins for 18-20 minutes, or until muffins are golden brown and a toothpick comes out clean. Remove the muffins from the pan and let cool on a cooling rack. 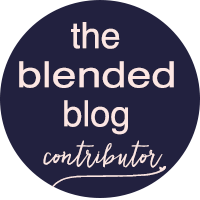 Now head on over to The Blended Blog to link up your yumminess. Yum! 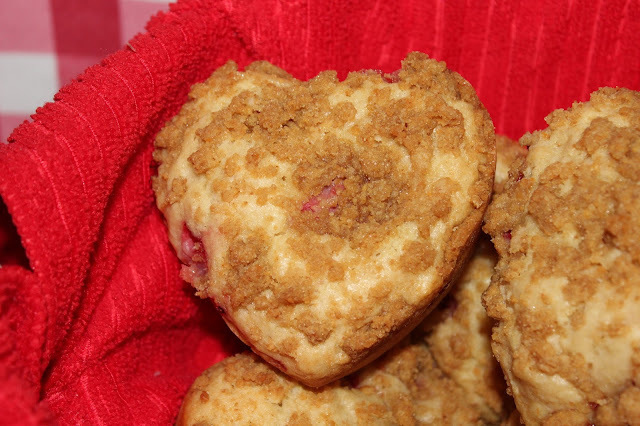 These heart shaped muffins are so cute and sound delicious! Have a great day! Andrea, they look sooooooo good! I've been patiently waiting to see them and now I wish I had one! They're perfect! Yum! You had me at cheesecake. Or was it strawberry? Ha! Looks delish, Girl! I couldn't pin this fast enough! YUM! Thanks for sharing the sweetness, darling friend! Ok these seriously look so delicious!! I know everyone in my house would love them!! OH GOODNESS these look amazing. My toddler would gobble these up too! YUM! I want a hot cup of tea or coffee and one of these little babies! Have a great day! Aw, I love that they're heart shaped. Those are just perfect for the holiday! I need to keep an eye out for the heart shape tin! 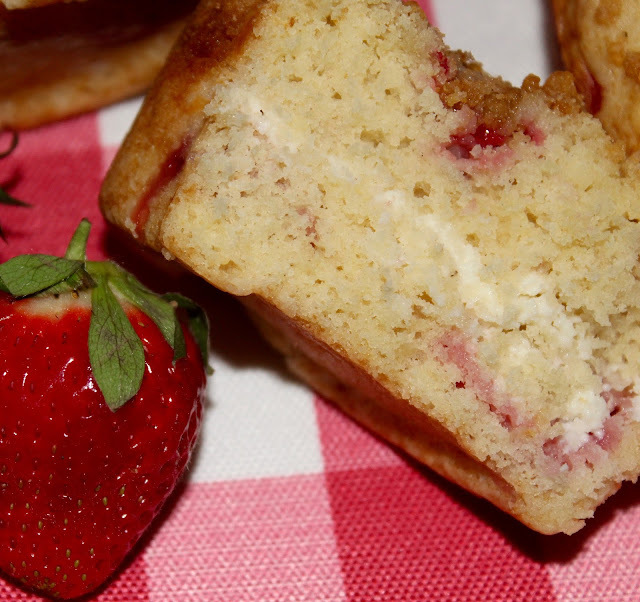 Cheesecake muffins?!?!?! Yum!!!!! These are so cute and perfect for Valentine's Day! Or you know....every day. because who doesn't need a few hearts in their life? How sweet are these! And I bet so delicious too. Food in a heart shape makes it taste better I think. I had a heart shape cake pan but I love the cute muffin size hearts!! Thanks for sharing, Andrea! Omg, how cute and TASTY! 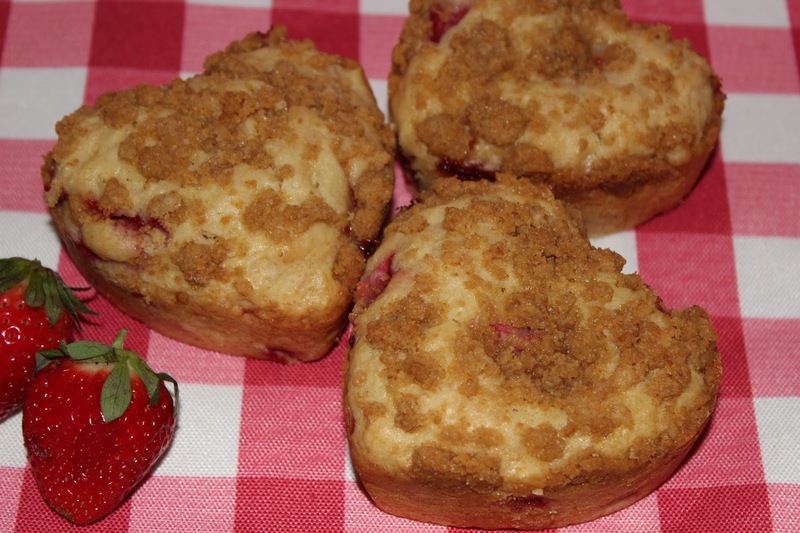 Such a good Valentine's treat- thanks for sharing this recipe, lady! These are adorable, Andrea! 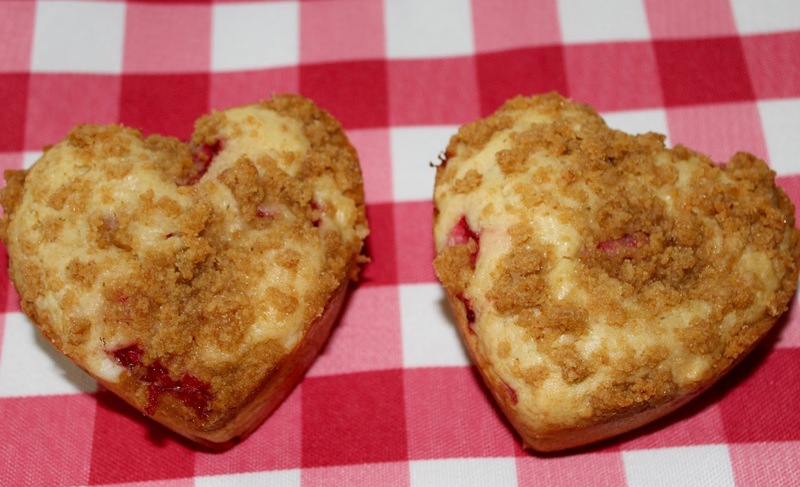 I MUST find a heart shaped muffin tin!! So festive! Of course you have a heart shaped muffin tin you cute festive lady! These sound wonderfully delicious, heart shaped or not! Thank you for sharing, pinning for a later date! I think I have all the ingredients for this and will be making a batch tomorrow morning. Thanks for the yummy recipe! Wow! My husband will be writing you a thank you note after I make these for him on Valentine's Day! Cheesecake is his favorite. I will have to have my protein shake religiously since my six pack is beginning to dwindle after a month of chocolate cake. Meh. Okay these look so good I want to make them NOW! I am still waiting for you to publish a cookbook! Call it "Dine with Nine" and I'll buy the 1st copy! These are absolutely adorable and look delicious! I need to make these! I love pretty much anything cheesecake. These look so good! These look SO YUMMY! And cute! Wow! These look so amazing! I need to try this, thank you for the recipe! These look so yummy; just added the ingredients I need to my grocery list! 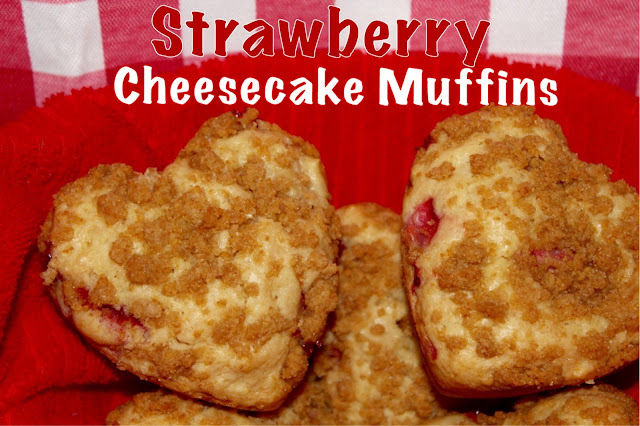 Oh my goodness these look amazing and I love the cheesecake twist! Anything cheesecake related wins my heart but these come in the light and fluffy form so even better. So perfect for Valentine's Day! Everyone in my house is eating low carb - otherwise I'd be in the kitchen cooking these right now! YUM! Hi Andrea, anything cheesecake is a winner. And these do look good, in fact they wouldn't last two minutes in this house. Those are so adorable! My kids would go crazy over them. Thanks for sharing at the #happynowlinkup! Oh my goodness, these look amazing. I need to try these. Thank you for sharing at Dishing it and Digging it link party. This is an awesome recipe to use for any occasion, but I love them shaped into hearts! Yum! Yum...the perfect "Love Day" breakfast treat! Great recipe for Valentine's Day or any day. Love that pan. I love your Muffins! Happy Valentine Day and thanks so much for sharing your awesome talent with us at Full Plate Thursday! YUMMY!!!!!! Could you PLEASE tell me were you found the heart shaped muffin pan? I have looked and looked to no avail.